Growing up exposed to heirlooms on his family farm in Rock Hill gave Brent Pafford an appreciation for creative work that holds multi-generational significance. “The objects I create are made to be used, enjoyed and imbued with memories of shared experiences,” Pafford said. Pafford produces under the studio name Brent Pafford Ceramics and recently qualified as a finalist in Martha Stewart’s American Made contest, which honors creative entrepreneurs for their contributions to their field. His pieces are made with the pinching wheel-thrown method which “allows the porcelain to capture, preserve and document the process of making,” Pafford explained. Pafford collaborated with fellow Clemson MFA graduate Adrienne Lichliter and Chef Lindsey Byrd to produce “Southern Intentions: Prints, Pots and Provisions,” a series of dining events. 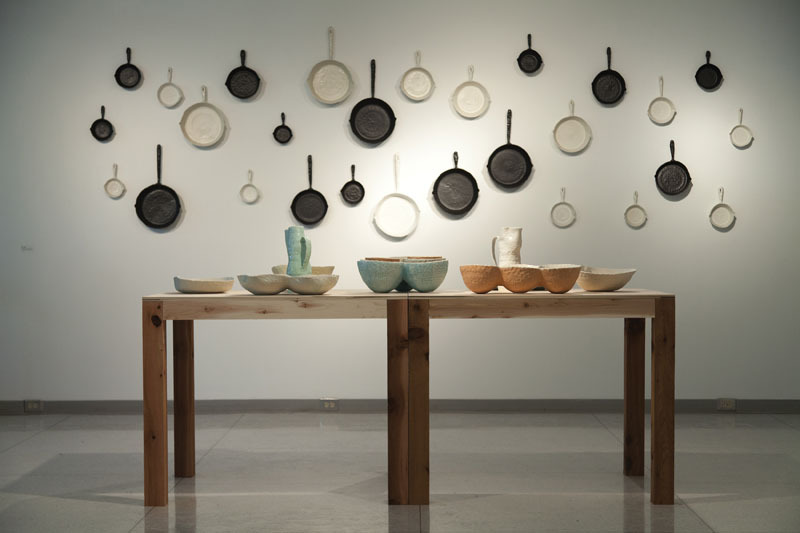 He crafted the dinnerware used for the meal and displayed other work in a gallery. “When I get to see [my work] utilized in the lives of others, it has to be the most exciting part of my job,” said Pafford. Pafford participates in the national and international ceramic community through social media, blogs and publications. 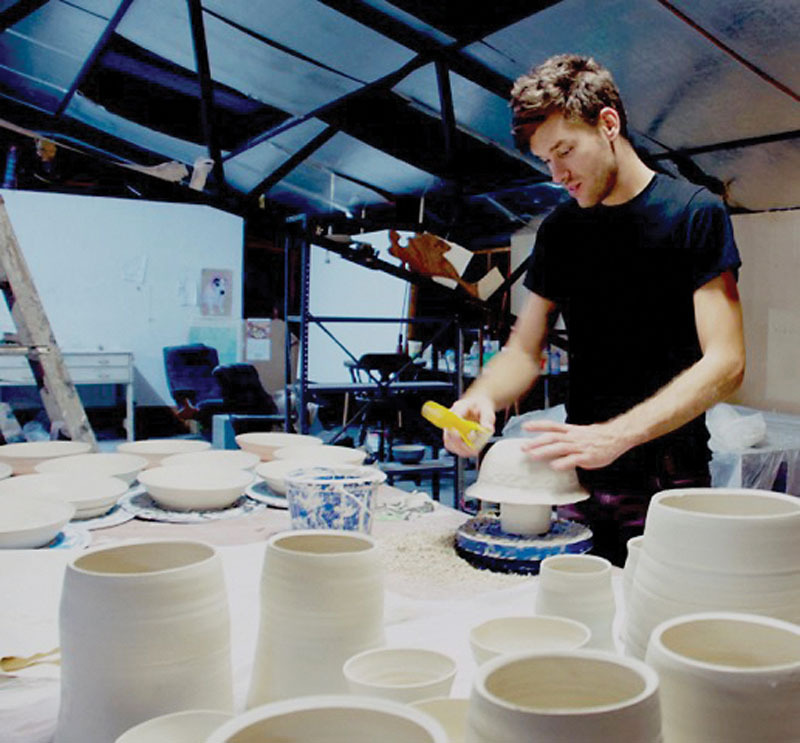 He attends the Council on Education for Ceramic Arts each year, where he contributes to national discussions and exhibitions. “I wouldn’t have it any other way. Treading water doesn’t get you anywhere,” Pafford said. To keep up with Pafford’s creative journey, go to his website at brentpafford.com.